Numerologists describe 22 as the Master Builder of mystical numbers. Take all the potential of Master Number 11 and double it. Add to that the power of 2 – two’s working in tandem and you get the symbolic value of evolutionary advancement, God’s love, the Universe’s vast possibilities, Divine creation and creativity and a path to the future that one cannot wholly imagine. As a frame of reference for just how proudly 22 stands among the Master numbers – the Dali Lama is a 22 vibration. In Numerology the Life Path 22 is the most powerful of them all. These people have an uncanny connection with the spiritual world in all its forms. This is not, however, a “fluffy” superficial relationship. Instead, the 22 integrates metaphysical knowledge down to a cellular level, then applies it in daily life. The Master Builder creates something from nothing – not simply for self-fulfillment but also to bring joy and success to the lives of others. Their intuitive nature can find the best of souls (and the worst). This is very important so that sacred energies are conserved for the greatest good of not just humankind, but the whole of the Universe. As children the 22 looked to the stars and couldn’t figure out why they were so far away. It seemed like a moment ago that the celestial fires of creation traveled with his or her soul. Being earthbound takes a little adjustment until the 22 understands their purpose and potential (which also can be a tad overwhelming). 22s may fear failure because their burden is so big, and they need supportive people in their lives to elevate them beyond that negative cycle. Because theirs is the Adept Path, it is bound to be filled with challenges, all of which focus on honing specific spiritual gifts. That life experience ultimately guides the 22 toward their true calling. With such manifesting energies all around them, 22 must take care not only about what they say but what they THINK. The Beings of the Universe hang their ear low to the 22, and some of them have a twisted sense of humor. Your greatest wish could manifest as a pun (just trust us on this). Humor is a good teacher. 22s are humble souls. The world wants to thrust you into the forefront as a sage or instructor with great influence, while you would be content to let people learn from the way you live. Nonetheless, your calling in this incarnation is toward influencing the spirits of many needy people. Remind yourself daily of that gift, and celebrate it. The mantra for the 22 is, as you might imagine, “if you build it they will come”. Who “they” is depends heavily on the manner in which this spiritual seeker applies their gifts. The reality is that nearly anything is achievable with the proper use of meticulousness and symmetry. These souls are not simply the dreamers of dreams, they are the facilitators of greatness. Metaphysically 22 symbolizes a very practical and hands-on approach to otherworldly things. The spirit of a 22 disciplines itself to balance idealism with down-to-earth realities. In this, the create a bridge through which Angels, the Fey, Aliens and the Divine can communicate. Eventually the 22 has the potential for ascension, but as with all such things – great power means great responsibility. Those who mis-apply the 22 vibrations for personal gain are like Humpty Dumpty – they come tumbling down hard, and putting the pieces back together takes something akin to a miracle. The individual working with 22 energies can illustrate and manifest God’s patterns and plans in the material plane. To do so, the Builder begins with sound foundations and cornerstones, including excellent ethics and a sense of responsibility. The Builder can’t simply see how the work ends, but also each step toward completion. Many Light Workers feel that 22s have chosen to return to physical form to help humankind. They strive to make the world a better place and can be found humming “the Age of Aquarius” while they work. Music is a Universal language, and those vibrations resonate with the 22s aura spinning them out to all reality. Consider that in the Kabbalah the Tree of Life has 22 paths, and you begin to understand the significance of this sacred number. Destiny Number 22 wakes up in the morning and pauses. There is a blissful moment between sleep and wakefulness, and 22 is wholly spiritually awake. Their senses burn with the feelings and needs of humans and entities alike. The mystic 22 must keep all that input in balance or it will pull them in too many directions. No matter how much metaphysical potential the 22 holds, it is still but ONE person who must make important choices for Self. Those choices, in turn, affect the spinning of Chakras, the Auric Field and the ultimate vibrations that 22 brings to the earthplane. If your Destiny Number is 22 you could end up in positions of fame and power. Underlying that you have a great diplomatic intuition, a harmonious outlook and the desire to give to others (perhaps even thru structured philanthropy). Your soul’s mission on this earth is working diligently with Angels and the Divine, passing along messages to those in need. The 22 stands strong in their convictions out of necessity as nothing less than Karma itself is watching. The Universe expects a lot from 22 including the willingness to be a vessel for world transformation. Your soul has been entrusted with all the gifts you need to heal, bring peace, increase conscious vibrations and stay tuned with the Higher Self. People may call you noble – and it is true. This soul has been called to a life of ethics, bravery, selflessness, vision and manifestation. Mind you, this is not a role that most people just jump into easily. It often takes maturity for this soul to truly embrace the vastness before him or her. During the years before that “ah ha” moment, they may find themselves feeling a bit apart from worldly things yet desperately attached to those in the world who cannot help themselves. Eventually your spirit will resonate with your souls purpose and you can reach out with assistance from a place of power. As a builder the 22 has a natural penchant for creating a secure home. Not surprisingly many choose to build their own or minimally design it. You make a very positive, strong figure in your family but also appreciate how much they give you the supports necessary to continue with tasks. While some of your lifestyle choices may be a bit outside the lines (you were the kid with the biggest box of crayons), you are smart about money. You can enjoy being surrounded by simple beauty without craving material things. Rather your home and the people you invite into it reflect your interests in a warm, welcoming way. This is a kind of sanctuary for you and those you love. Put up a sign: “Leave your shoes and politics at the door” then enjoy dinner! The Master Builder 22 wants to create! Design, architecture, technician, specifications specialists – anything that takes the blank page and brings it to life with something functional in the material world. More importantly whatever the builder designs it must be to specifications. There is no room for error, no cutting corners be it with material, labor or negotiations. 22 expects everyone around them to work from a place of integrity. In Tarot Card Meanings and symbolism the Master Number 22 is associated with The Fool card in the Major Arcana. This classic Rider Waite tarot card deck depicts the Christ Consciousness with four evangelists who also represent the four corners of creation. A woman dances over the living Earth surrounded by the signs of Leo, Taurus, Scorpio and Aquarius. There is an elemental power to 22 that can magically bind the powers of Earth, Air, Fire and Water into a harmonic convergence. These are the kinds of souls that can potentially herald a new cycle in human spirituality and awareness by teaching what they have learned through many lifetimes. Keywords to meditate on for The World and the number 22 include attainment, integration, prosperity, completeness, peace and limitless potential. This is the most accurate thing I’ve read about Life Path 22. It was at times verbatim what I’ve written in my own notes & journals. It resonated so deep in my heart, I cried. It’s very good to receive validation that we’re as powerful, special and purposeful to this universe as we’ve felt our whole lives…even the moments we didn’t/don’t believe it. 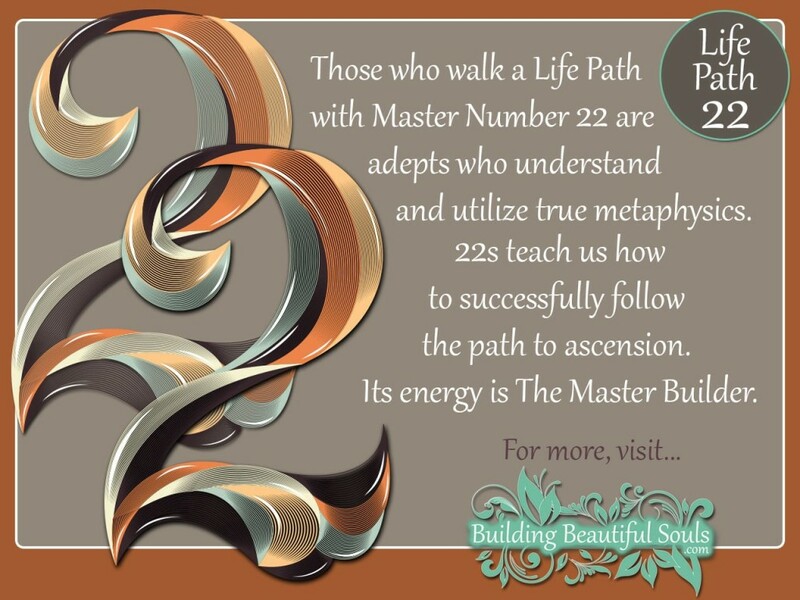 Oh my dear Master Number 22, life for you ascending souls can be really – well – a LOT! I’m sending you a tissue made of pure love so you can wipe away your tears. I honor the purpose of your path and just know you’re doing great! According Doreen Virtue I’m also a master 22. From all information I can read about lifepath of 22 I can only confirm this journey. After 22 years of suffering and learning Im now ready to take control of my life and my destiny. This is setting up projects where innocent kids with no future can have a future. Regards and much love from Jimmy. My birth date 02-03-1979. Destiny/Expression number 22… in the past year, I have discovered that EVERYTHING I have read on the subject is undeniably accurate for myself…At this time, do you feel that I need to enlist the services of a numerologist to assist me in daily life? I’m a 22/4 and the fact is true nothing I want to achieve can’t be attainable but it must be from me and me alone. When I put my mind to anything I attain it, with effort. I can rely on no one but me. The support I receive is invaluable but it comes at a minimum. The rest is always up to me. ✌🏻😎 As a perso. We suffer the same as others but we naturally overcome them with minimal support. No matter how minimal it is enough. Just a small dose of support and we are able to soar. No matter how hard the trials we tend to overcome it and gain much insight as to how it had affected us. Remain positive and gain quality support even if it was nothing more than a gesture of good faith. As long as it is genuine. We will soar. I agree with you I never knew, but am coming into the bright light that wants to shine through me. The moment I surrendered and stopped resisting. Everything changed. I was amazed to read this about my life path vibration. I can now understand why i felt so awkward in many eays since childhood. It was like a big shocking ok to what i up to this point think about life. It could have not been said clearer. I laughed with the last sentence because I say that every day to mu clients. OMG. Thanks you. You are most welcome! So happy you enjoyed reading about the sacred Number 22! Patricia again here. 🙂 This is amazing! Especially ” The Hearts desire and soul number” Wow, Dali Lama is a 22 # vibration. How powerful and I am so thankful to have connected with you on the Bees & Snake wisdom. And now numbers! God is good! Thank you for the kinds words! I’m so happy you are enjoying BuildingBeautifulSouls.com as well as my sister site, WhatIsMySpiritAnimal.com! I LOVE when folks look at symbols and meanings from a holistic perspective and learn all aspects of a zodiac sign, spirit animal, color, tarot card, etc! This explained perfectly as life path 22 I didn’t understand how powerful it was but everything u listed is exactly how I’ve felt always looking at the nights sky always loving the moon for years most of my childhood I was misunderstood the odd quite observant one out of my mothers kids always had a spiritual sense felt like I’ve done this many times even when I was baptist things happened I’ve shed those layers and and I’m learning to throw away the box and get back to my own higher original thoughts..I’ve been hungry for knowledge thank you for the onsite this helped me understand myself alil more..
You are most welcome! SO happy you found clarity and more understanding of self here at BuildingBeautifulSouls.com! Is there a number that is most compatible with a 22? The other half of my heart is a 4. I am a 22 and have always felt like I was meant for something great in this life, and I never knew why and it seems silly to me sometimes for even thinking that. Sometimes I swear I’m slightly psychic, and I get déjà vu extremely often. I just started reading about numerology today and it’s making so much sense to me! I feel as thought I have “woken up” just this year as a 28 year old. Things are happening for me in ways they never have before. I’m intrigued to keep reading more and learning as much as I can. Congratulations on the Master 22 Princess! I say go for the 22 name! All Zodiac Signs, Numerology, etc. have some scary parts to them. But, overall, someone born under the Master Number 22 has angels who fly with them at all times. They are connected to the Universe in a way most of are not. So, adding the extra 22 to her name will likely be a blessing on her life. I feel pain when I see people in need. I can read people. I know when people are dishonest or when they come to me with bad intentions. I sensed things that where unexplainable. I felt the need to retreat often and meditate. I’m very spiritual and never say anything because I was afraid of judgment. This explains alot. 22 is my life path number. Thank you for reply. Actually, me n my husband have selected name as Anvika unaware of the information. Bez I was waiting for your reply n immediately after week we had naming ceremony. I am so much in confusion abt this names numerology. Today I have seen ur reply n was very happy about our decision. As our choice of name Anvika turn out to be a name value of 22. Thanks for making me realize dat we taken a right decision about name. Your words means a lot to me. Love you..
You are most welcome! I’m SO happy to know you chose the name before receiving my reply! 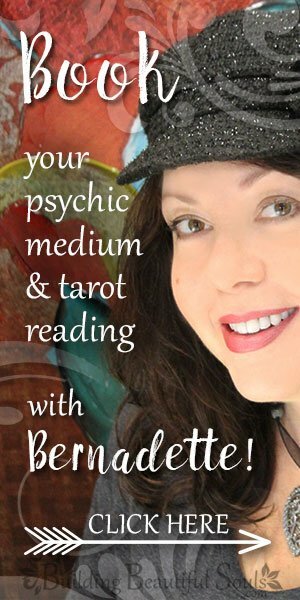 This means you and your husband were going only on your intuition and messages from spirit! How wonderful that you are helping give such amazing energy to your child right from the start! Congratulations on the new addition to your family. May you have many years of blessings and happiness! Please give me simple suggestions to keep in my mind about numerology 22. What is 22 negative aspects which I need to be more careful about. How I need to handle the characteristics of 22? Is 22 and 4 same? I feel cursed. I really want love, and people’s acknowledgements but I am always betrayed by my friends. I think I am really cursed. Plz help me out of this ! I now get it, I knew all of that intuatively from childhood but did not know if I was making it all up somehow. I now get it!!!! Let us all 22’s pray for the world for all living things and beyond and in between. Thankyou Thankyou Thankyou. I cried too. My 15 year old grandson died 7-1-16. I keep seeing the number 22! Could this be him letting me know he is with me?! He was very energetic and strong willed. Always asking questions. He was very artistic. Since his passing…I have become more aware of life after death. I 100% agree with you, reading this, kind of fills that hole in my heart about feeling lost in the world and not knowing why. This is incredibly accurate and makes me feel extremely special, finally knowing that, that feeling of a higher purpose is true. Thank you for your explicit writing on Life Path 22. My birthday is 9-13-1953, hence a life path 22. Yes, I had this depth even from birth–my parents actually took me back to the doctor for fear something was wrong with me–I never complained, or cried–I was very contented and happy. The doctor told them I was just a happy baby. But, at 65, I have only just recently found out my life path significance as a 22. And now, so many things fit into the puzzle. I never wanted financial wealth or power, so I had 3 children and wanted to impart into them strong positive values of caring and love and nurturing, which I felt would make the world a better place, which is being exemplified. Throughout my life, whatever I decided to “build” always came about. Healing of body and mind has always been my passion–with herbs and various methods, oils, magnets, water, etc. But now, I’m finding that people are getting healed by my sharing with them that they are healed, both in body, and in spirit. This includes healing marriages when people share with me, and also healing departments at my work when they are in turmoil. The power inside of me is finally released to bless everyone around me. This makes life a grand and wonderful adventure.